This is MY night along with the Golden Globes. I often dress for it in some type of lounge outfit that I could never wear any other time. So inappropriate to wear the silk pjs my mother-in-law brought back from China, but why not? I call and text my friends to do the “OMG, can you believe what she is wearing?” every so often and also comment to my puppies who at least pretend to be more interested than my husband. He is actually a good sport about it, but can’t sit for that long. Can’t wait to see JLaw and love Idina, too. She is in a play on Broadway that opens soon, so that will be something else to look forward to. Hoping your night of 140 characters delights you and your fans. 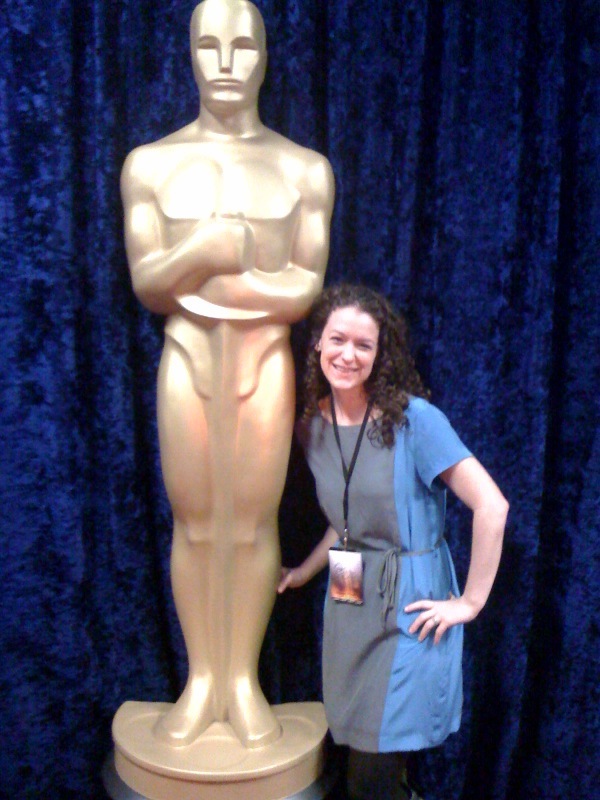 Love your photo with the Oscar.